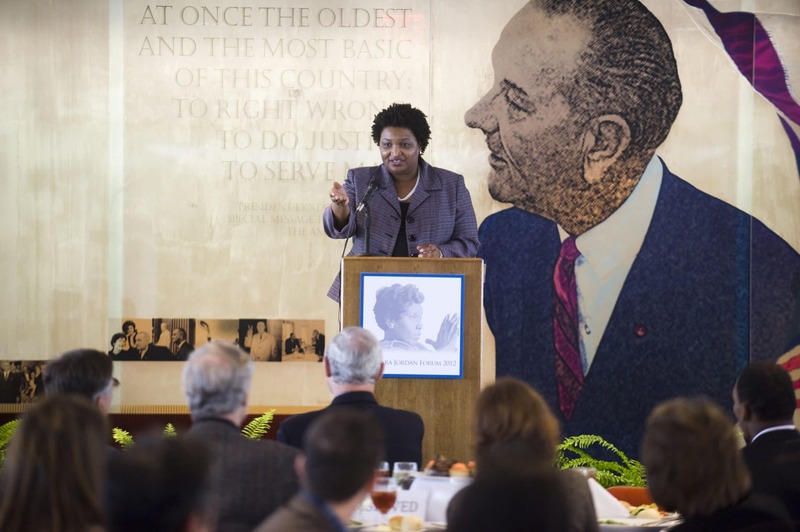 "Barbara Jordan Forum 2012" by "Barbara Jordan Forum 2012" is licensed under "Barbara Jordan Forum 2012"
After four days of considering its options, Stacey Abrams’ campaign has officially filed a lawsuit against the Georgia Secretary of State’s Office, and the Gwinnett and DeKalb County elections offices. The suit, filed in federal court, asks for an injunction that would allow absentee and provisional ballots that were initially thrown out, to be counted. While the suits specifically mention issues with absentee ballots in Gwinnett and provisional ballots in DeKalb, the suit seeks legal action that would impact all 159 Georgia counties. If the suit is successful, the state would have to count absentee ballots that were marked ineligible due to the oath section of the ballot. The campaign alleges some of these ballots were not eligible because voters signatures may not have matched or the voter put the current day’s date instead of their birth date on the form. The suit also asks to extend the deadline for verifying provisional ballots until Nov. 14. According to the Abrams campaign, an increase of 21,727 votes to Abrams’ margin would force a runoff, and 19,383 would force a runoff. As it stands right now, Brian Kemp won the election by 58,875 votes.